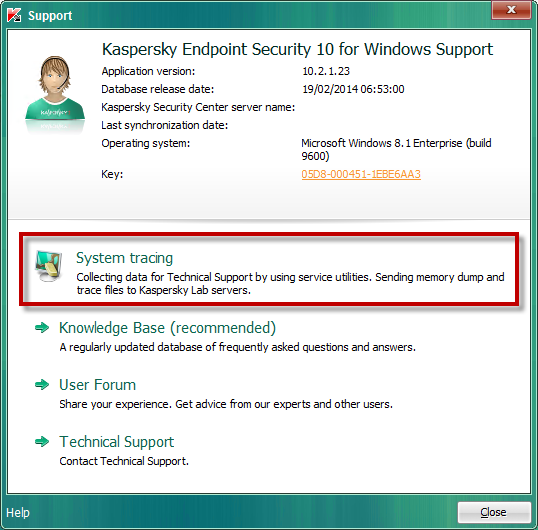 This article concerns Kaspersky Endpoint Security 10 for Windows Maintenance Release 1 (version 10.2.1.23). The SSO (Single Sign-on) technology allows you to use one and the same credentials to access encrypted hard drives and log into the operating system. 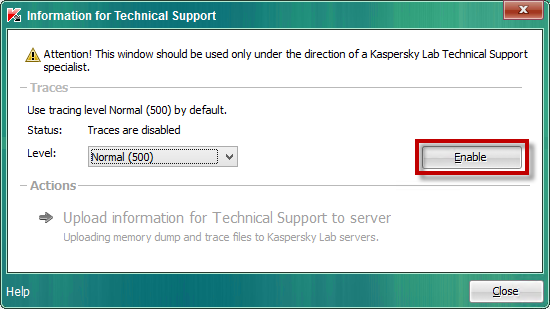 In case of any SSO-related issues, please contact Kaspersky Lab Technical Support, having your SSO traces collected. Make sure your user account has administrator rights. Download the archive KES10_sso_on_off.zip and unpack it. If you are using a 32-bit system, run sso_ON_x32.reg. If you are using a 64-bit system, run sso_ON_x64.reg. In the bottom part of the application's main window, click Support. In the window Information for Technical Support, click the Enable button. 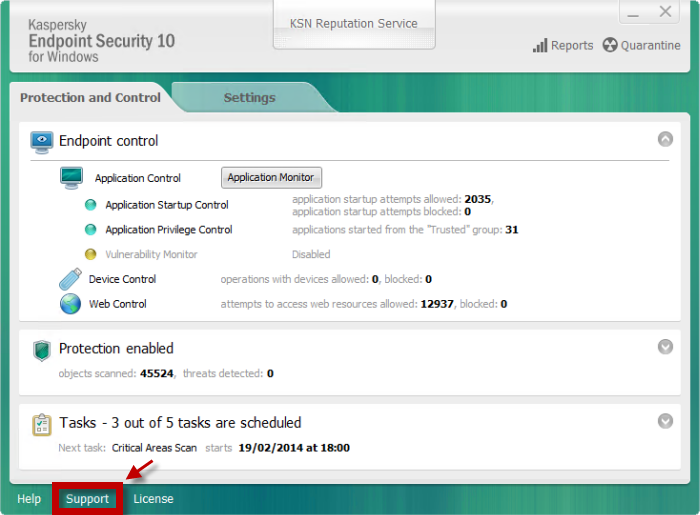 Restart Kaspersky Endpoint Security 10 for Windows to start collecting SSO traces. If you are using a 32-bit operating system, run sso_OFF_x32.reg. If you are using a 64-bit operating system, run sso_OFF_x64.reg.